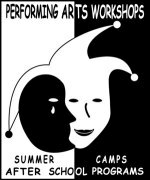 151 Summer Camps in for "Huntington Beach, CA"
Splash the day away in Huntington Beach, California. Explore the wetlands at Bolsa Chica Ecological Reserve, surf the tide at the Huntington Beach Pier, or watch a storybook performance at the Huntington Beach Central Library. Take a walk on the wild side at Bolsa Chica Ecological Reserve. Start out with a stroll around the wetlands, where your kids will love to take a peek at the birds through a set of binoculars. Animal lovers will also like to take look around the wildlife regions. If you've worked up an appetite, hook a line with some irresistible bait andfishthe day away. Older kids and teenagers may enjoy the possibility of hunting, as well. Ride the waves at Huntington Beach Pier. Surf City USA earned its signature name for a reason, and adventurous kids will love to surf the water at this stunning beach setting. If it is their first time, consider renting out equipment and taking surf lessons, appropriate for several different age levels. Once they're ready to hop off the board,swimin the gentle waves or walk along the sandy beach in search for beautiful seashells. Special events also feature family camp outs and even softball tournaments, so don't forget to check the calendar year-round for all kinds of family fun! Spin a stupendous tale at Huntington Beach Central Library. This magnificent library hosts a huge selection of children's books, but that is only the beginning of their offerings. Watch an astonishing magic show, let your kids curl up in their onesies at the Family Evening Pajama Story Time, or marvel in a Once Upon a Time performance.Arts and craftslovers will enjoy activities such as engraving book spines and painting tiles. No matter the kid's activity, spending more time in the library is sure to cultivate your child's love for reading and learning for years to come. 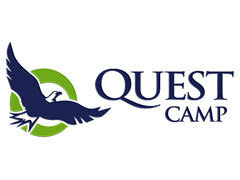 Quest provides a 7-week summer day camp, after-school programs and treatment for special needs children!